Nate's Nonsense: United States of China? 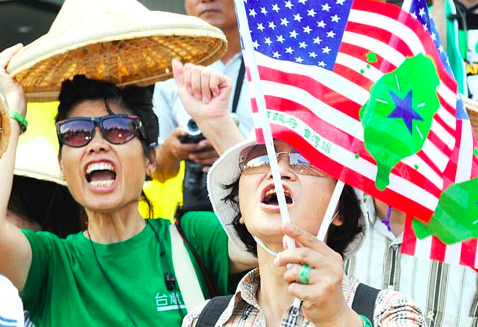 Apparently, there's a significant group of people in Taiwan who believe that their island legally belongs not to the People's Republic of China and not to the Republic of China and not to the original inhabitants, but to the United States of America. WHAT?!?! What kind of crazy person would believe such a far-fetched story? How about Chen Shui-bian? Who? 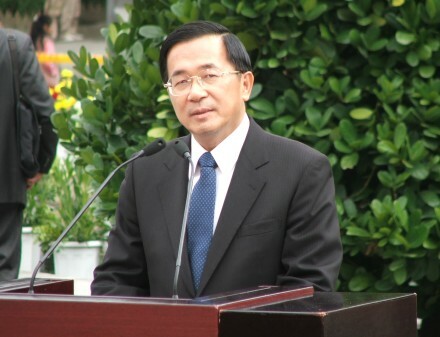 Chen Shui-bian, the President of Taiwan from 2000 to 2008! Japan controlled Taiwan from 1895 to 1945. 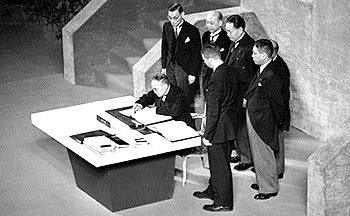 When Japan surrendered to the US in 1945, the final disposition of Japan and it's territory belonged to the United States. Japan renounced its claim on Taiwan in 1951 when it signed the Treaty of San Francisco. Of course, China was having its own troubles at the time of the Treaty and sovereignty was not formally transferred by the US to anyone else. In fact, later Secretary of State John Foster Dulles would say, "Japan has merely renounced sovereignty over Taiwan which... the peace treaty... [has] not ceded to anyone." Why would the former President be making such an argument? It's hard to say, but I'll bet it has something to do with the fact that he's facing criminal charges of corruption and treason that carry a life sentence. So, Chen Shui-bian has sued for his release in US courts under the basis that he's actually a de facto US national. Other members of the Formosa Nation Legal Strategy Association have been applying for US passports using the same argument. 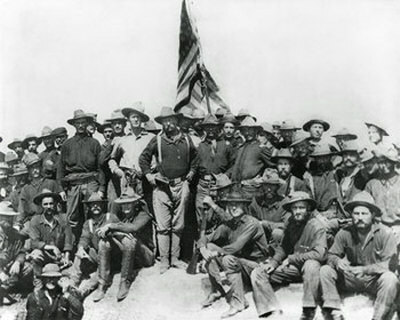 Now if Teddy Roosevelt was our leader again, I'm sure he'd be quick to accept this line of reasoning and quickly move to annex Taiwan, but times have changed and America's not really looking to add additional land to our holdings. My take? I say we auction Taiwan to pay our debt. Problem solved! Does the US officially acknowledge Taiwan as a separate country from the PRC? In the late 50's early 60's President Eisenhower established a "listening post" in Taiwan that my dad was a part of. We lived across the street from a place called "grass hill" where all of the Chinese big wheels lived. 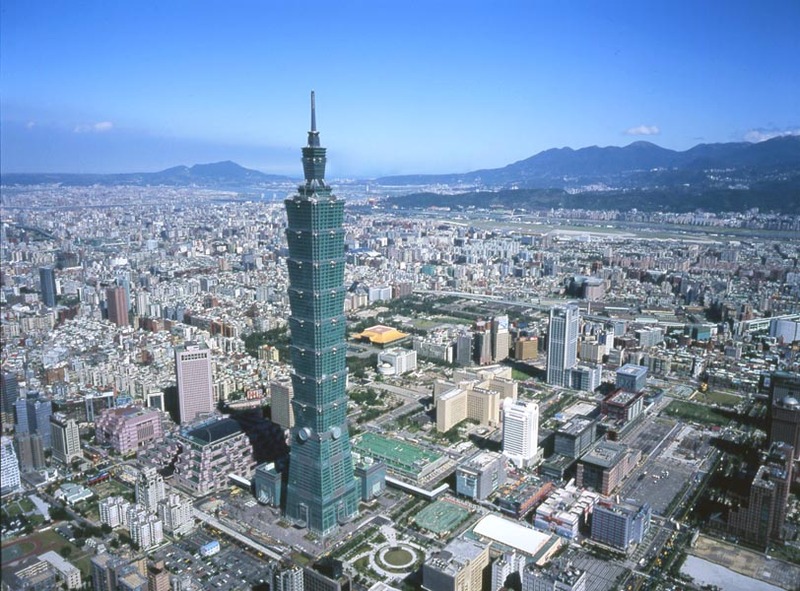 They had moved into Taiwan to "help fill the political vacancies left by the Japanese." It was always a question of is Taiwan a part of China. This is a new twist for me. Just as an interesting historical aside. The Japanese were responsible for building a lot of the roads in Taiwan during their occupation. Our cook, who we took in as a refuge looking for his son that had be conscripted by the Red Army, told me a story. I was a very little girl at the time and he seemed to want it remembered and carried on. The Japanese would go into the Taiwanese villages and tie all of the men and boys together with ropes and then make them build the roads. They were very cruel taskmasters. Many of the roads are long and winding up through the mountainous areas. One day the village gathered and all agreed that the men and boys that left that day would jump over the side of the cliff and die. Which they did. Powerful and scary story Debbie Adams! Thank you for sharing it.